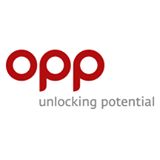 OPP is a leading firm of business psychologists that specialises in personality assessment, enabling people and organisations around the world to increase their effectiveness through the innovative application of psychological tools and techniques. The company’s market-leading psychometric tools include the Myers-Briggs Type Indicator® and the 16PF® assessment, and provide high-impact results for selection and personal development, such as teambuilding, leadership development, communication and conflict resolution. For her MSc dissertation in Occupational Psychology, Helen Rayner sought to investigate the effects of mindfulness on personality. The Mindfulness Exchange was commissioned to run an 8 week Mindfulness Based Cognitive Therapy programme within OPP. Mindfulness: Finding Peace in a Frantic World by Mark Williams and Danny Penman was used as the foundation for the course. OPP employees volunteered to participate in the study and completed psychometric assessments such as the Perceived Stress Scale and the 16PF before and after delivery of The Mindfulness Exchange’s course. The results of the study show that mindfulness has an effect on personality and perceived stress levels. The full results are embargoed until publication.